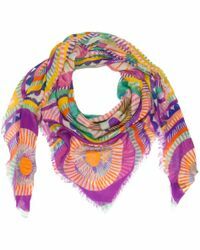 Liz Nedhi is an eponymous, luxury label founded by the talented American artist and designer of the same name. Based in London, this unique and exceptional brand prides itself on its 'wearable art' collections, with designs inspired by paintings that deliver vibrant tones, mesmerizing patterns and artistic-prints. 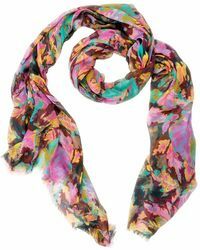 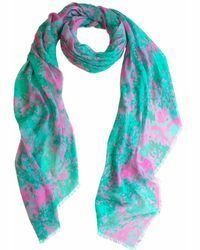 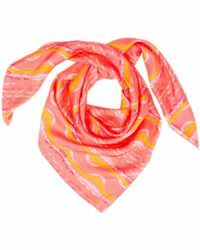 Liz Nedhi's collection of scarves will add a pop of color to any ensemble. 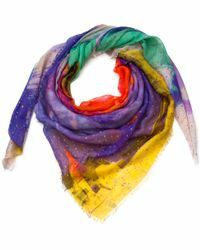 From unexpected color combinations that will flatter every complexion to seriously soft silk designs, these scarves are inspired by paintings of beauty all of the world, from the London Thames river to Balinese temples at sunrise.